SAROS Collective is based on the belief in spiritual freedom. Expansion is our axiom, not restriction. SAROS Vision is a growing group of artists from different parts of the world, operating in different projects, each one highly experienced in their fields – together forming a strong & visionary collective offering a wide range of artistic possibilities. 11.6.18 – Void Revelations, Germany-based photographer joins SAROS Collective. 29.4.18 – We will be joining the Czar Fest again this year, this time Isabel Z. will be presenting excerpts of her fantastic illustrations. 25.4.18 – Dehn Sora, Paris-based multitalent joins SAROS Collective. 27.3.18 – Maks L., Paris-based illustration genious joins SAROS Collective. 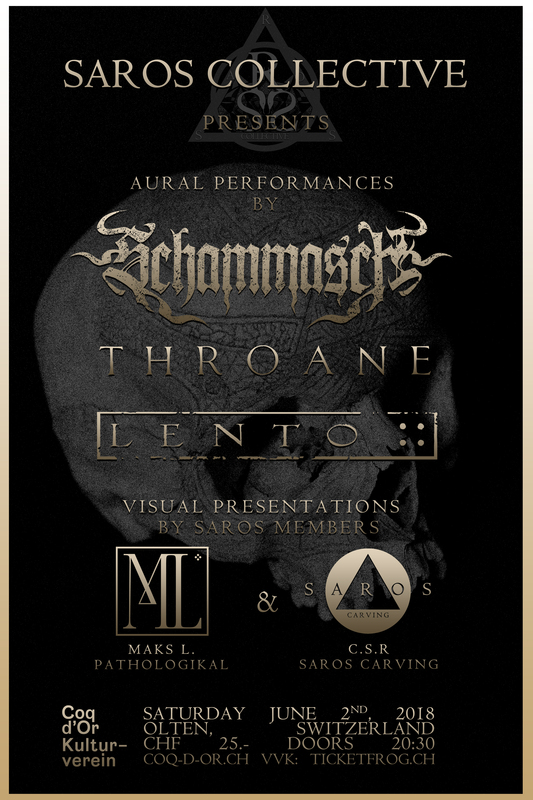 5.2.18 – We will take part in Quantheon Touring’s “Ancient Ascent” Tour for two dates, exhibiting a collection of skulls & more, dedicated to ancient norse symbolism. 20.8.17 – We are looking for screen-printers to team up with! If you’re interested, send us a mail. 12.8.17 – SAROS Collective is expanding. We count 11 members so far. 2.2.17 – First exhibition of our carving work and clothing at the Czar fest in March announced!